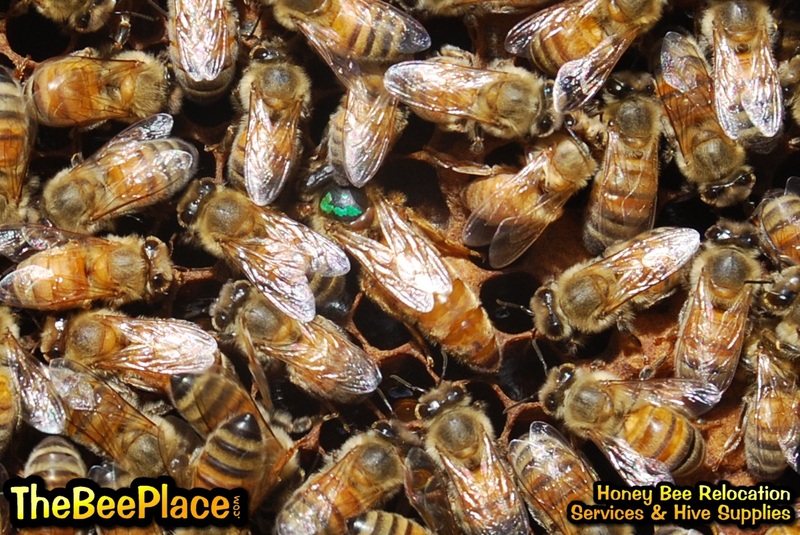 The honey bees we offer are of a gentle nature and top quality genetics. 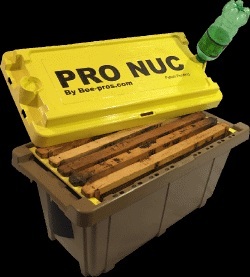 Depending on the season and what we have in stock, we typically offer options from a starter nucleus ("nuc") to full colonies in 10 frame hives. Please note: 8 frame equipment is available by request. 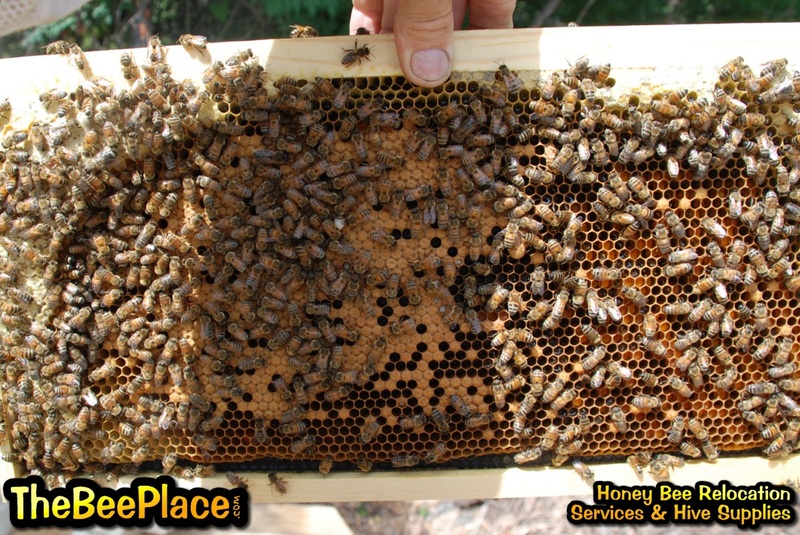 We also provide the basic information and instructions needed to get started in beekeeping. 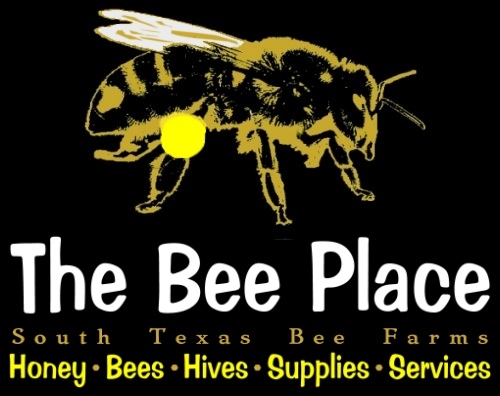 Please Note: Beekeeping Supplies and Bees are Local Pickup and by Appointment Only - We are a bee farm and work our bees at more than one location. We do not have a store for "walk in shopping" at this time, therefore all equipment and bee pickups are on scheduled pickup dates by appointment only. Thanks for understanding. 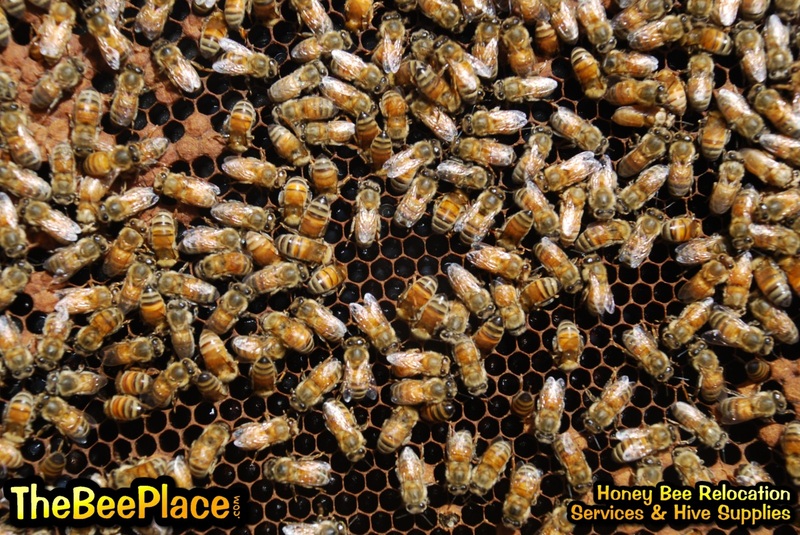 At this time, we are offering Italian, and Texan bees in Langstroth Style bee hives, Hive Sets with Bees or a Nuc of Bees ready to install in your hive. 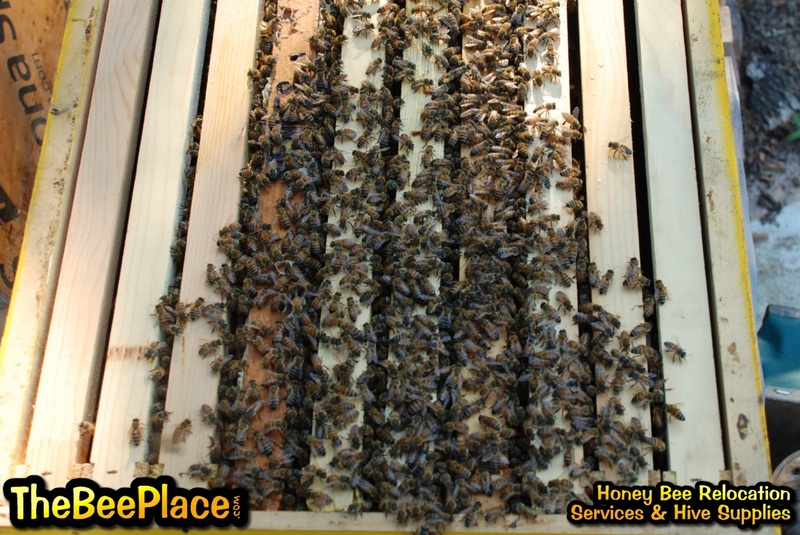 We do not offer packages of bees due to limited success rates for beginners with packages. Please visit the Beekeeping Supplies section to order the protective gear and supplies of your choice. Also available, the "Beekeeping Basics" group classes - discounted with purchase of bees. The Somerset area pickup location will normally be at our main branch which is about a half hour southwest of downtown San Antonio. 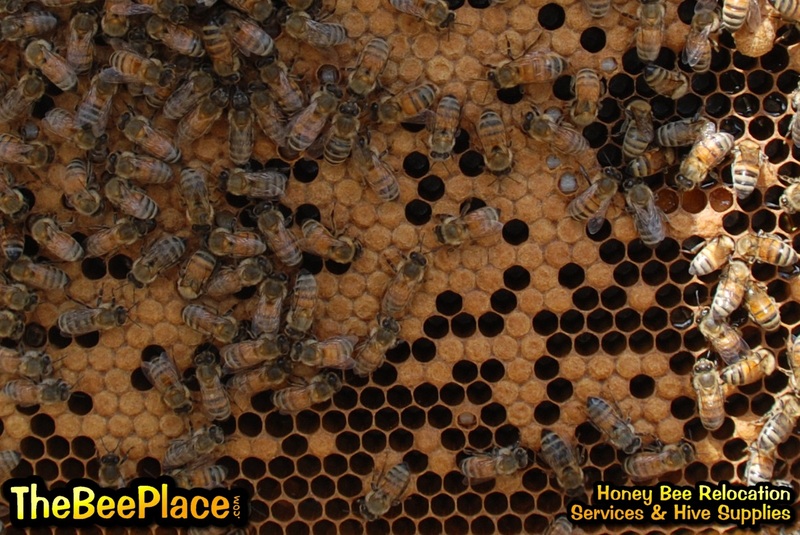 We typically offer a Beekeeping Basics group class the day of pickup at our main location. This is our most popular starter setup. 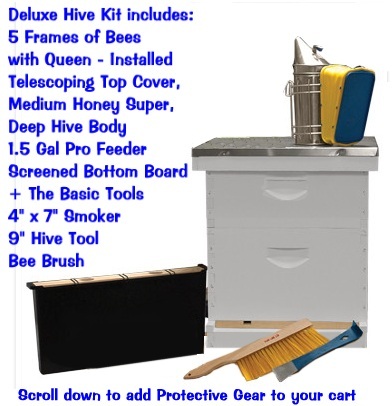 Each kit comes with the following items needed to start your apiary. These are the industry standard bee hive sets with the bees already installed in a deep hive body with a deluxe top and screened bottom board which will be secured and ready for transport. 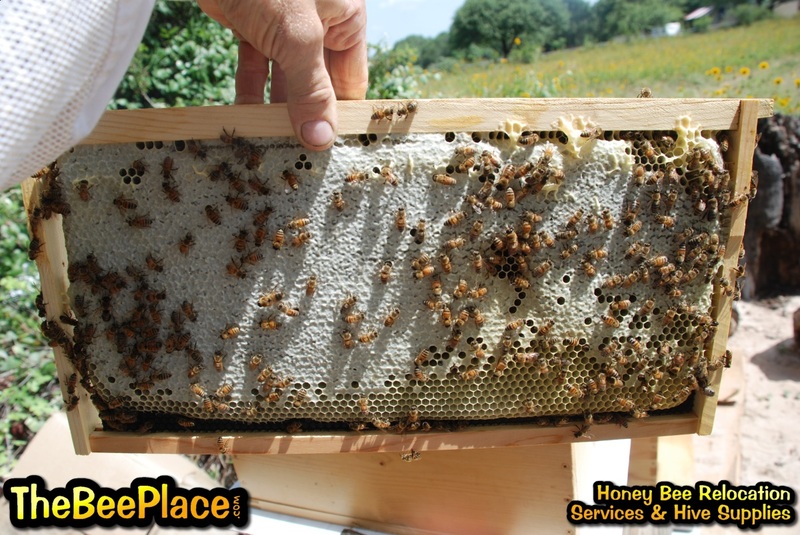 These are offered in 3 different formats with a Nuc of Italian or Texan bees installed. 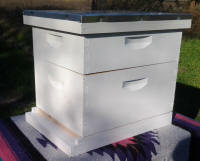 The following formats all come with 5 frames of bees and 5 blank frames for the bees to grow into. Feeders are sold separately. A very popular starter option. The bees come contained securely in a sturdy transport box with a sealed lit and ventilation safe for travel inside a vehicle. These will need to be installed into a deep hive body, typically best within a week or two. Select the available pickup date and the Italian or Texan bee options. Our 5 Frame Nucs come with a young mated and laying queen bee, brood (eggs and larvae in multiple stages) with nurse or "house bees", pollen, nectar, and honey with worker or "field bees" and a little space to grow. 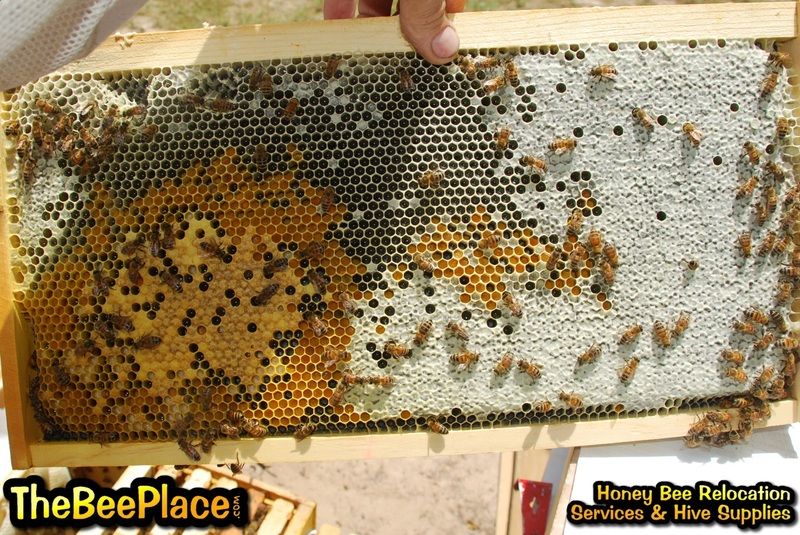 Select from two options for a Nuc of Bees, 5 frames of Italian or Texan bees. When starting out keeping bees, the most gentle bees are recommended. Italian bees are the most common, but not the only gentle bees around. Carniolan (when available) bees are very gentle as well. The Italian and Carniolan lines are very popular. These two and our Texan bees all consistently produce better than average honey yields and winter well in our area. Queens come in a cage with attendants on the outside. 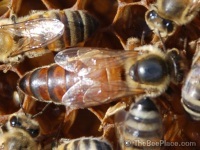 Our Queen Bees are not marked or clipped. These sample images are for display only and are not the actual bees for sale. Click for larger images.